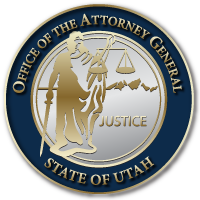 UINTAH COUNTY, Utah – The Office of the Utah Attorney General (OAG) announced today that defendant Rex Richard Olsen, a former Utah Highway Patrol Trooper, was sentenced on April 17, 2018 for Second Degree Felony Arson. The charges filed against him were for deliberately starting a fire on or about June 9, 2017 in the wildlands area off the shoulder of Maeser Highway. At the time he set the fire, the defendant was on duty as a UHP Trooper. The charges came after an investigation by the Utah Division of Forestry, Fire, and State Lands. The defendant entered a guilty plea on November 14, 2017. The defendant was sentenced to a suspended sentence of 1-15 years in the Utah State Prison, Probation to Adult Probation and Parole for 36 months, and to serve 180 days in the Uintah County Jail. A restitution hearing is currently set for June 27, 2018 in the 8th District Court in Vernal. The State is requesting a restitution order in the amount of $482,392.76 for the damage caused to property and land, including the cost of response to and suppressing the fire. The defendant is also set for sentencing in the Federal District Court on June 7, 2017, for starting a separate but similar fire on BLM land located in Uintah County. On January 25, 2018, the defendant pled guilty to one count of Underbrush and Grass Set Afire, a Class D Felony, in the United States District Court for Utah.